Besides water, milk’s two main substances are Casein and Whey; 80% and 20% respectively. 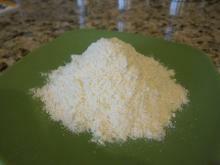 Casein is separated and is usually used to make cheese, the liquid Whey, is dried and commonly made into protein powders. These powders typically come in three forms: whey concentrate, whey hydrolysate, and whey isolate. Whey can then be filtered, refined, and/or separated by a few different means such as: cross-flow microfiltration, ion exchange, or cold-filtration. It contains a wide array of complete [globular] proteins namely beta-lactoglobulin, alpha-lactalbumin, and serum albumin in addition to an abundance of branched chain amino acids, which are central to protein synthesis. Concentrate maintains some of its lactose (aka milk sugar, a carbohydrate), and some fat. It can come in anywhere between 30-90% protein. Favored by many ‘lifters’ due to its slower digestion/absorption, it can cause bloating and allergies, if you are sensitive to milk. Isolate is more than 95% pure protein and virtually lactose, fat, carbohydrate, and cholesterol free. Hydrolysate or Hydrolyzed Whey is also called pre-digested and is partially hydrolyzed to enhance absorption. This hydrolyzing enzymatic process splits proteins in to smaller chain peptides and amino acids, (di and tri peptides), supposedly making the end product more biologically accessible to the user. It usually costs more but claimed to be the lowest on the milk-sensitive and stomach sensitive side. My personal recommendation is microfiltrated Whey Isolate, a prime ingredient in The Urban Caveman’s protein powder: Structure Lean Fuel. It contains a wide array of complete proteins namely beta-lactoglobulin, alpha-lactalbumin, and serum albumin in addition to an abundance of branched chain amino acids, which are central to protein synthesis. Microfiltrated Whey Isolate is more than 95% pure protein and virtually lactose, fat, carbohydrate, and cholesterol free. 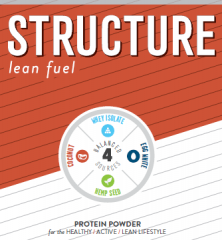 A properly constructed shake is a quick, low-cost, convenient option to provide maximum and balanced nutrients. The average American breakfast is loaded with excessive Insulin-producing refined grains and sugars and devoid of quality protein and fat components. This usually results in the epitomes ‘mid-morning crash.’ A couple scoops of a quality protein blend can instantly add 36 grams of protein to your meal-in-a cup ensuring energy and eliminating cravings. Hey, it’s nice not to have to chew once in a while too! Many Vegetarians or Vegan peoples avoid whey since its origin is a dairy product. This is true, it does. BUT, as noted above, Isolate and Hydrolysate are virtually lactose/milk-free. A very rare, small percentage of people have allergies to a highly graded, quality, and properly filtered whey isolate protein powder. Does Organic, Grass-Fed, or Hormone Free Make a Difference? In a word, no. Not with protein powder. Animal meat is a different story, a completely different story, for another venue. Every cow, and all milk, regardless of the claims made, contains bovine growth hormone. In addition, tests show that that levels of growth hormones are pretty much the same in milk from cows that have been treated with growth hormones as those of cows who have not. This is not to say that Injectable hormones, antibiotics, toxins, and other pharmaceuticals that are sometimes given to dairy cows are not hideous and poor treatment to the animal, but, these substances are, for the most part, stored in fatty and muscular tissues. Some can find its way into the fatty part of the cow’s milk, but due to the processing and filtering of whey protein, lactose and milk fat are removed from the final product. Remove the fat… remove the hormones toxins and other toxins. If your morals tell you to avoid whey from cows other than those happy in a pasture, then that is a personal prerogative. Whey is not meant to be a sole source of nutrition, eating real food is, that's why it's called a supplement. Also, the 'claims' of organic, grass-fed, and hormone-free are often misleading and will cost you plenty more.